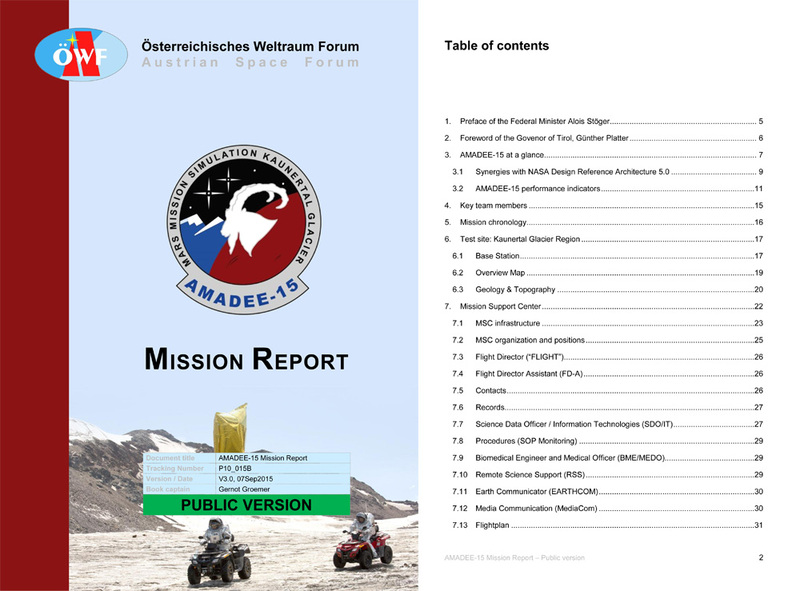 Today the final mission report of the AMADEE-15 Mars simulation was released. The analog simulation – led by the Austrian Space Forum – took place between 03-15Aug 2015 at the Kaunertal glacier in Austria. 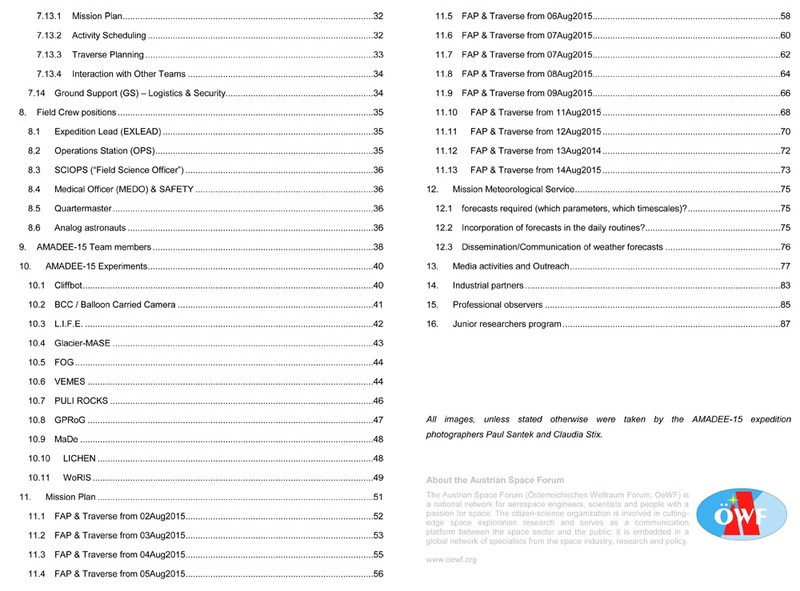 Inside the ca. 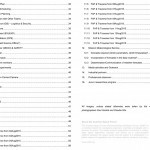 100 pages strong report you’ll find details about the test site at the Kaunertal glacier, you’ll be able to read the daily flight plans or learn more about the role of the Mission Support Center. Moreover synergies between AMADEE-15 and the NASA Design Reference Architecture are explained as well as key performance indicators (incl. social media stats) are presented.